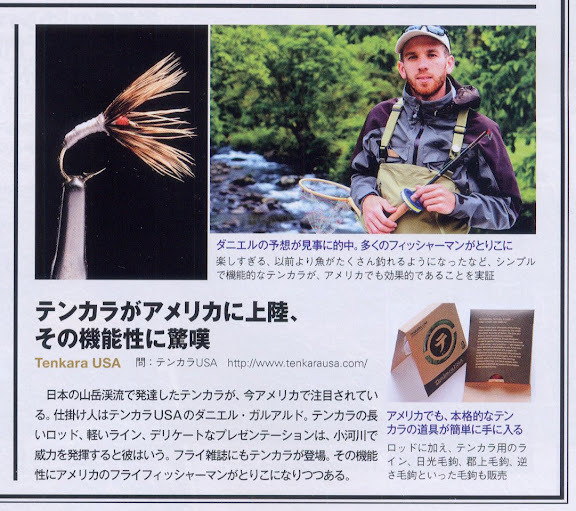 This month Tenkara USA is being featured in the Japanese fly-fishing magazine, Fly Rodders. 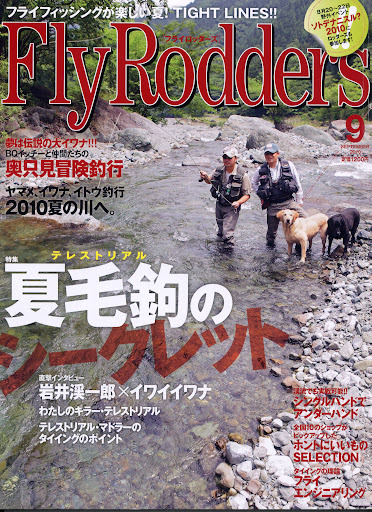 Fly Rodders is one of the leading magazines on fly-fishing in Japan. The mention is very positive, mostly focusing on the fact that we’re now introducing the Japanese method of fly-fishing outside of Japan. I have often wondered, and talked to a couple of people in Japan, about whether tenkara becoming popular in the US could lead to its further popularization in Japan. Often times people in Japan have looked at the US for trends, and someone told me Japan is about 2 to 3 years behind the US in fly-fishing terms…well, I say the US was at least about 200 years behind Japan on this one! So, I could be inclined to think even such a mention could be the beginning of more tenkara adopters in its home country too. Maybe that’s presumptuous, but I’ll just continue thinking it. People all over Japan are starting to pay more attention to tenkara and I have heard many people discussing Tenkara USA. We are proud of your work in promoting it, and especially maintaining the integrity and purety of tenkara instead of “westernizing” it. next march I´m gonna be in USA. I´m saving money to buy one of thise rods. All the best from Argentina.